Anna Salaczynskyj and Frank Ryan dance at the Moose Hall Thursday evening. 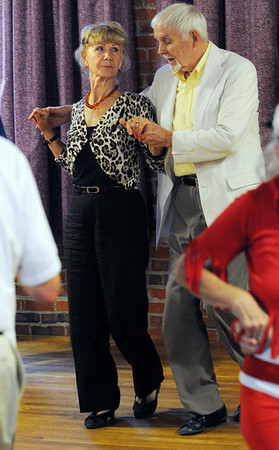 Salem's seniors had gathered to enjoy dinner and dancing. Photo by Ken Yuszkus/Salem News, Thursday, August 11, 2011.